A pair of the foulest harpy sorceresses ever to fly the badlands settled into these caves and excavations about 20 years ago. The rocky mesas and shattered stones of the badlands extend for days in every direction – a mix of natural erosion, heaving land, and the warring of ancient titans creating the plains of shattered rock, gullies, and canyons. Although not obvious from above or from the entrances to the lair, these caves were also once home to someone who took the time to fix them up and smooth floors out and generally upgrade them from shattered caves and crevasses into a functional lair with multiple areas and access points. Originally, the Harpies left the structure as they found it, with the old bridges rotted out making access very difficult for non-fliers. But foul magics and the years have taken their toll on the beastly sorceresses, and in the last five years they have had the bridges rebuilt to help support foot traffic in and out of the structure – mostly for transporting provisions and prisoners, but also because both feel their age in their wings and one can barely fly except in the most exigent of circumstances. Most of the areas of the lair are foul with harpy feathers and excrement and both crevasses sport mounds of bones from prior prey at their bottoms. A large flock of vultures circle the shattered stone of the lair, attracted to the foul smells of the inhabitants and their even worse eating habits. 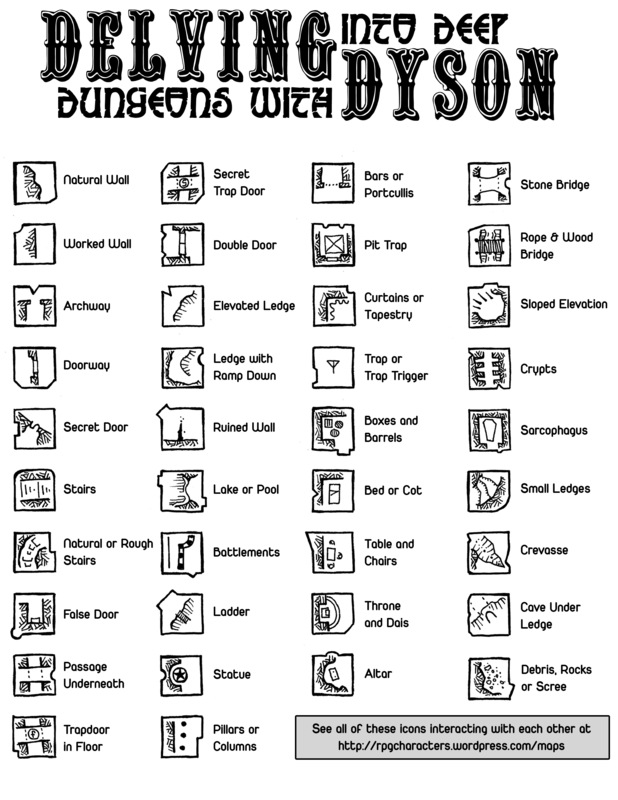 The only sections that are even remotely clean are the two levels in the centre of the lair which are home to the sorceresses proper. The upper level of these two sections is only accessible by stairs and through a small niche window overlooking the crevasse and is generally used to hold “guests” of the twins and for their own foul research and magics when they feel the need to be far from their kin. 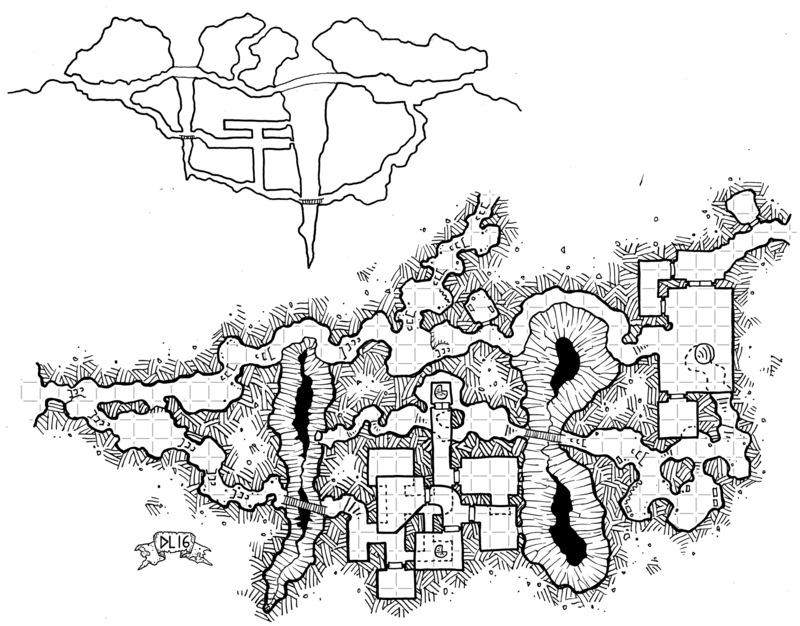 The lower of these two levels is their home, while the rest of the clamor of harpies and a few hangers-on and slaves live within the various caves. Ha I thought it was lair of the hairy sorceresses, which would have been a very different adventure. Funny, I first misread the title as Lair of the Happy Sorceresses, which put a very different spin on it. I, too, saw “Happy Sorceresses” at first glance. Are there two different symbols for stairs? I think the one with straight lines is for regular, well-built stairs and the staple-shaped one is for natural, rough, or irregular stairs. Absolutely fantastic and inspiring! 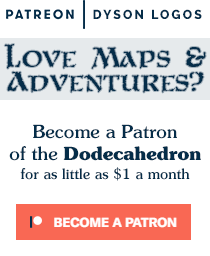 Will become an orc outpost in our campaign… Thank you!